Pre-ROTJ hardcopies and hardcopy parts surface less frequently than their than Return of the Jedi era counterparts. 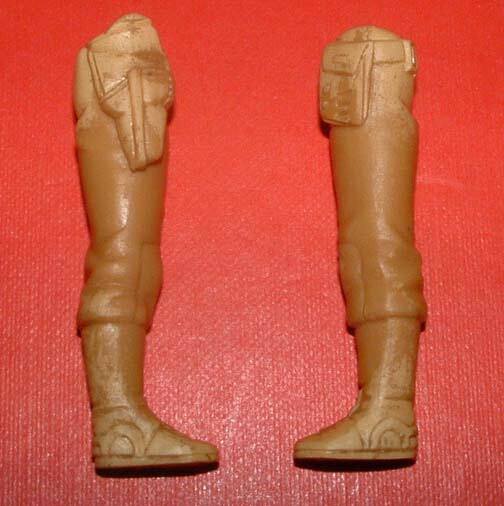 The brown Cloud Car Pilot hardcopy legs seen here are cast in carbalon, a urethane commonly found among Kenner hardcopies from the Star Wars and Empire Strikes Back era. The usage of dynacast, a green colored urethane, became much more prevalent during the ROTJ era, however dynacast ESB hardcopies do exist. 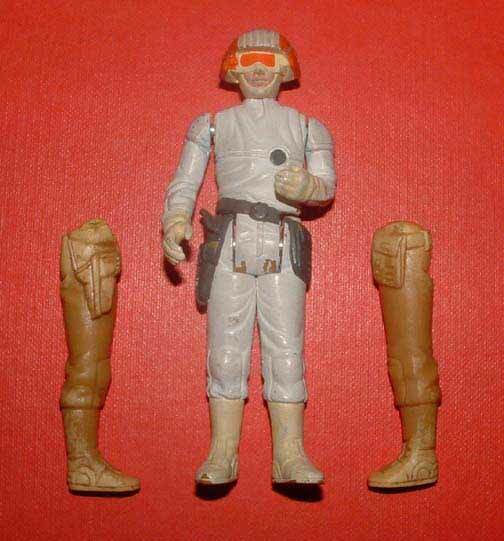 The second photo shows the other side of each leg. The attachment areas, which permit leg attachment to the torso, are clearly visible. 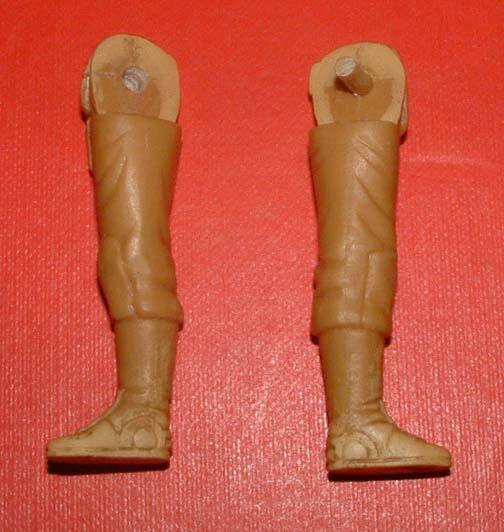 One leg has been drilled out for torso attachment, however the other leg still exhibits excess urethane, referred to as a sprue, that has not been cleaned up. 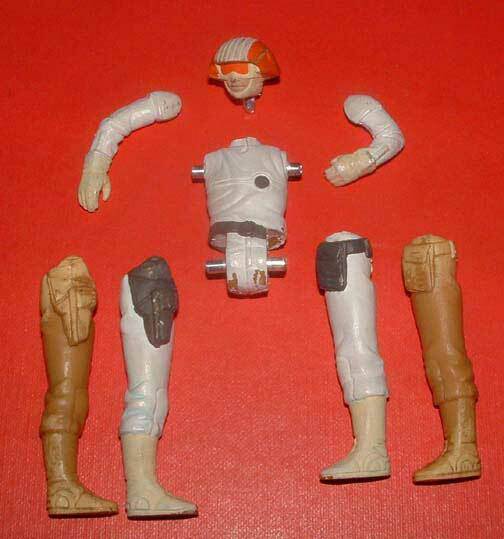 The above image shows the unpainted hardcopy leg pair along with a complete Cloud Car Pilot painted hardcopy, which certainly gives the unpainted leg pair additional significance in Karl's collection. The fourth and final photo graph again shows both the unpainted legs and complete painted hardcopy, this time in a different arrangement.